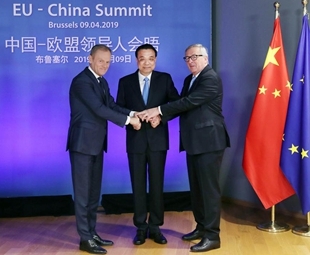 China and the European Union (EU) reached significant consensus on bilateral ties, charted out future cooperation and voiced support for multilateralism as leaders of the two sides held an annual gathering in Brussels on Tuesday. Chinese President Xi Jinping sent a letter to congratulate the inauguration of the China-Africa Institute on Tuesday. Chinese Premier Li Keqiang arrived in Croatia on Tuesday for an official visit to the country and the eighth leaders' meeting of China and Central and Eastern European Countries (CEECs) in the Croatian seaside city Dubrovnik. 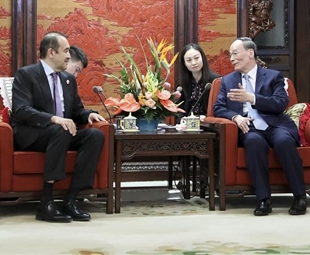 Chinese Vice President Wang Qishan met with Chairman of the National Security Committee of Kazakhstan Karim Masimov Monday in Beijing. 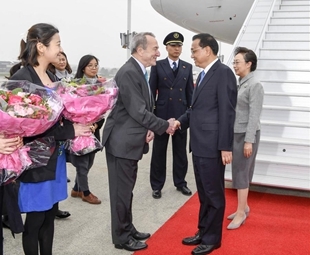 Chinese Premier Li Keqiang arrived in Brussels Monday for the 21st China-European Union (EU) leaders' meeting. 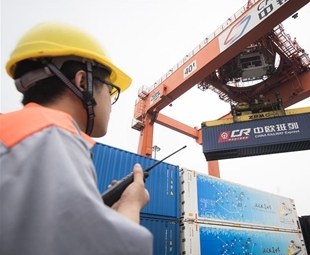 ​China and Europe stand to benefit from closer cooperation, said Chinese Premier Li Keqiang in a signed article published Monday in German newspaper Handelsblatt as he kicked off a visit to the continent. Chinese Premier Li Keqiang left Beijing on Monday for the 21st China-EU leaders' meeting in Brussels, the eighth leaders' meeting of China and Central and Eastern European Countries (CEEC) in Croatia and an official visit to the country. Lori Lightfoot, the newly elected mayor of Chicago, pledged on Saturday to do everything possible to strengthen the city's relationship with China. Chinese Premier Li Keqiang will travel to Europe on Monday for a series of high-level meetings to consolidate China-Europe cooperation at a time when changes and uncertainties are rattling the European continent. Mongolian Prime Minister Ukhnaa Khurelsukh held talks in Ulan Bator on Thursday with a delegation of the China Soong Ching Ling Foundation to enhance non-governmental exchanges and relations between the two countries.